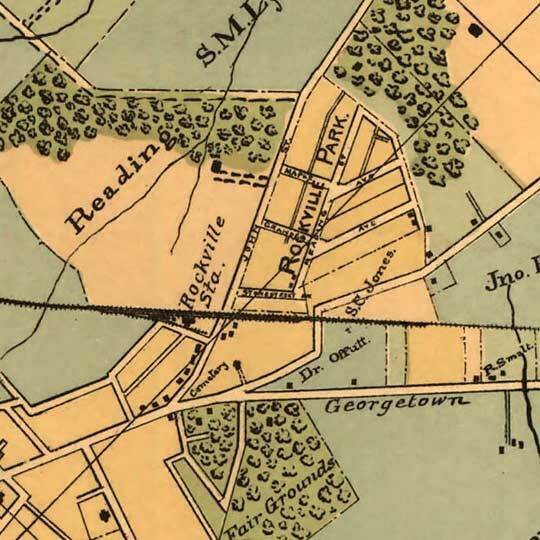 Cadastral map of property ownership along the Baltimore and Ohio Railroad between Washington DC [gmap] and Rockville, Maryland [gmap]. Interesting. 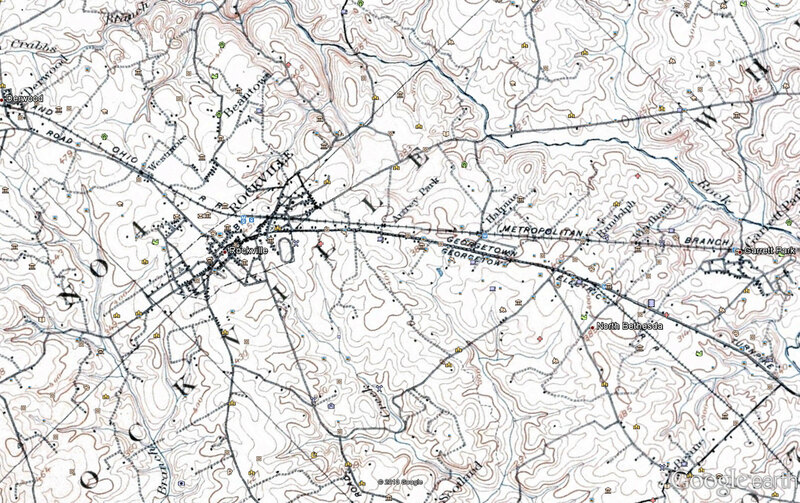 My survey map of the area from 1908 (imgur.com) does not include many of the beautifully laid-out street grids that appear on your map, nor do they correspond to the present-day roads. I guess either mine is much older than labeled, or those were planned and surveyed developments that were never built.